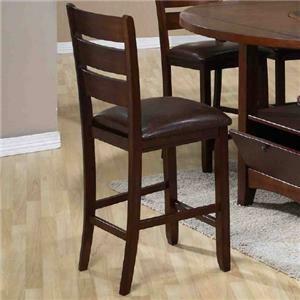 Stylize your kitchen or dining area with this functional table and chair set. The unique round table will impress your friends and family. 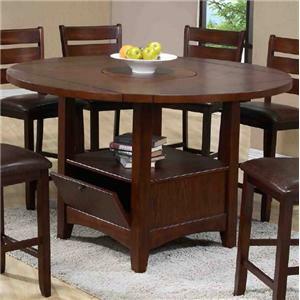 It has a spacious round table top with four drop leaves that can easily accommodate the number of guests you have. Use the lazy susan to conveniently share food with others. The bottom of the table features a shelf for displaying magazines and books as well as a functional storage compartment. 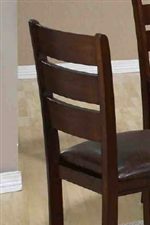 The chair includes a beautiful ladder back and a leather like cushion which offers more durability. 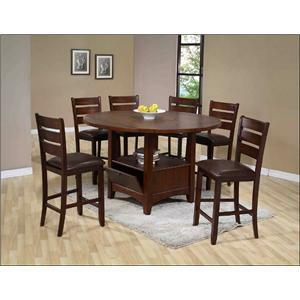 Add this wonderful seven piece collection to your contemporary living space today. Browse other items in the 1920 collection from FMG - Local Home Furnishing in the area.